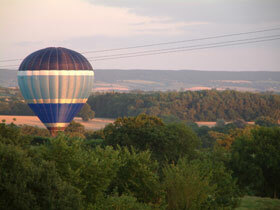 If you're in Devon, you might well see a colourful hot air balloon or even several balloons float past across the sky. Hot air ballooning is just one of several exciting activities that you can try whilst on holiday and there is no better way of seeing the Devon countryside.. Sunny days encourage all of us to spend time out and about, take a look at out list of outdoor activities and tourist attractions in Devon to see if there's something that you can get excited about. Do feel free to send us accounts and photographs of your most enjoyable days out in Devon (preferably in Word) and we'll publish selected ones.